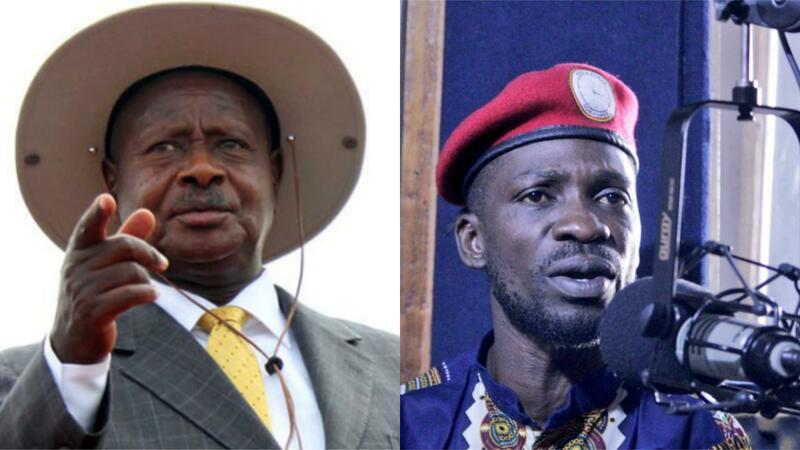 KAMPALA – President Museveni has blamed MP Robert Kyagulanyi a.k.a Bobi Wine and Mr Kasiano Wadri, the Independent candidate in the Arua Municipality by-election for the chaos after Monday’s campaigns in which a driver to the Kyaddondo East legislator was shot dead. In a statement released on Wednesday, August 15 morning, Mr Museveni hinted that the two leaders would be pursued in relation to the Monday chaos because they had organised “hooligans” that attacked a vehicle in his convoy. “(The) elements of the Opposition, including Kassiano Wadri, Kyagulanyi (Bobi Wine) and others stoned our convoy, including my vehicle. The stones they threw broke the rear glass window of the car where we transport luggage. That window glass is not armoured. “Some leaders have been acting with impunity and it has caused the death of one in Bugiri and, now, one person in Arua. These acts are strongly rejected and will be punished according to the law. Anybody who organizes such groups is responsible for their misconduct,” the President wrote in a message released by his senior Presidential Press Secretary Don Wanyama. Mr Museveni was on the area to drum up support for NRM candidate Nusura Tiperu in the hotly contested by-election. But after Monday’s final campaigns, hell broke loose after supporters of the different candidates colluded with the president’s convoy. The police has since arrested all the opposition MPs including Robert Kyagulanyi (Kyadondo East), Francis Zaake (Mityana), Gerald Karuhanga (Ntungamo), Paul Mwiru (Jinja) and Mike Mabikke (former Makindye East MP) alongside independent candidate Kassiano Wadri and say they are being investigated whether they used the guns during the violence that marked the end of the campaigns ahead of today’s polls. The stones they threw broke the rear glass window of the car where we transport luggage. That window glass is not armoured. There was no harm to the old man with a hat. Fortunately, my convoy did not react with fire in response to this attack. This was because we were not equipped for anti-riots. Our intervention could have resulted in people’s death because we only had live bullets.